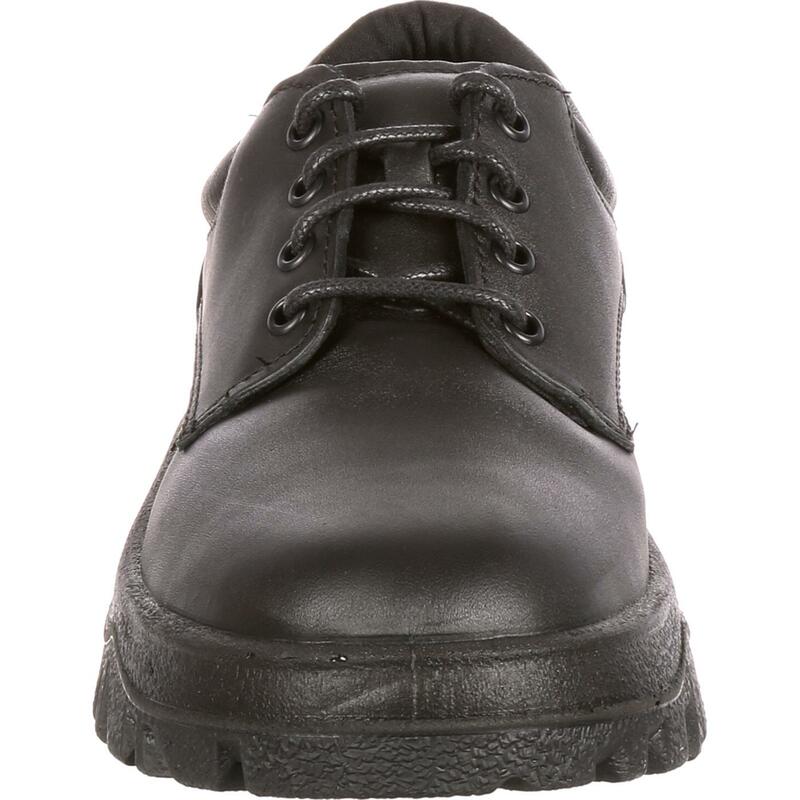 Rocky TMC Postal-Approved Plain Toe Oxford Shoe is rated 4.2 out of 5 by 35. Rated 5 out of 5 by Sodastraw from Great for walking on concrete floors I started buying this model since 2005. Threw away my orthotics. Never used them again. 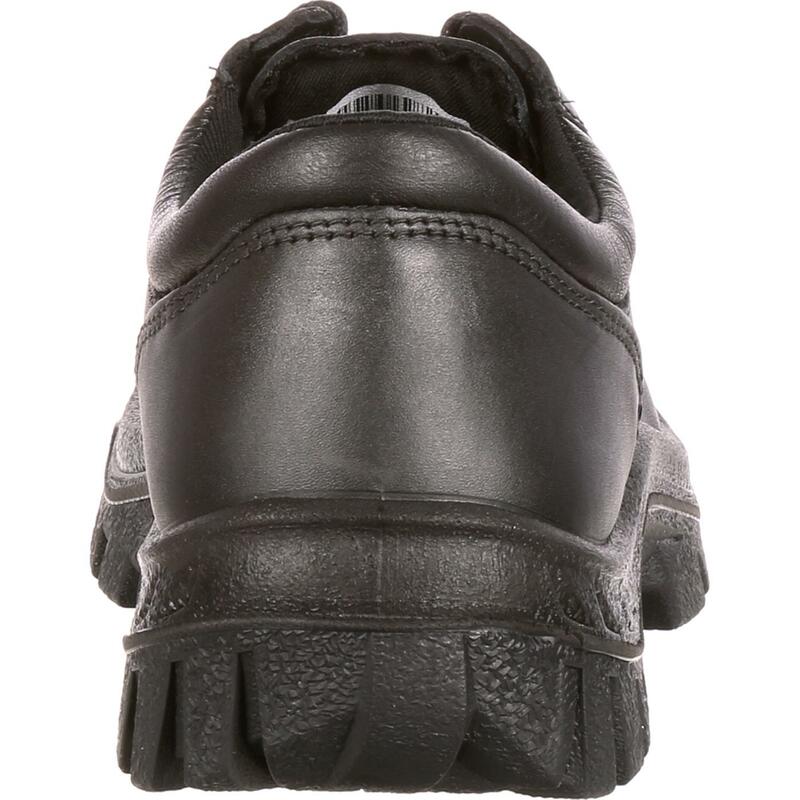 The inside insert is so much support and it molds to your foot. Takes a little time but well worth it. The uniform store here in Seattle stopped selling them. So I went directly to the mfg and purchased. Always happy with this shoe. For a heavy guy like I am, it was a task finding a shoe that would hold up. I checked with my postal carrier to see what he wore, this model was it. I can't wear sneakers anymore so I just wear this shoe. Believe me you won't be sorry once you get them broke in. I work in maintenance in a hospital, lots of walking all night. 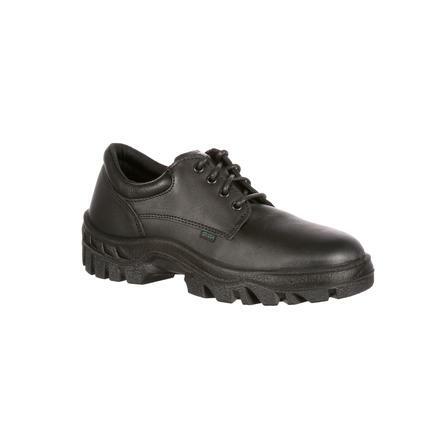 Rated 5 out of 5 by levi84 from High quality and Very Comfortable I weigh about 290lbs and walk/stand on concrete 10hrs to 16hrs a day. I work as customs officer at the Southern Border where we only get to sit during a 30 min break each shift. 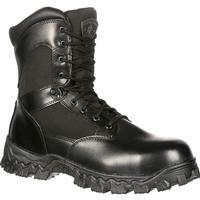 These shoes by far are a hidden jewel in Duty Boots despite the fact that they are meant to be worn by US Postal Service. 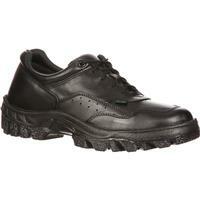 Nonetheless, I would recommend the version of this shoe with high top for ankle support. If you love your feet and don't care about looks, don't think too long about getting them. Rated 5 out of 5 by Terry13 from Best Shoes Ever! Let me count the pairs. I have bought over 5 pairs to date and I pray Rocky will always make this style of shoe. Great for everyday wear, and even better for dress. they also buff up a wonderful shine. I plan to never buy another style until I die. 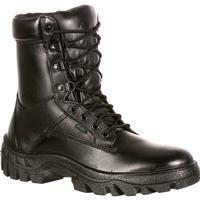 I am also a Rocky boot fan. PS: I am the worst shoe shopper because I am so picky, and my wife does not like to shoe shop with me. 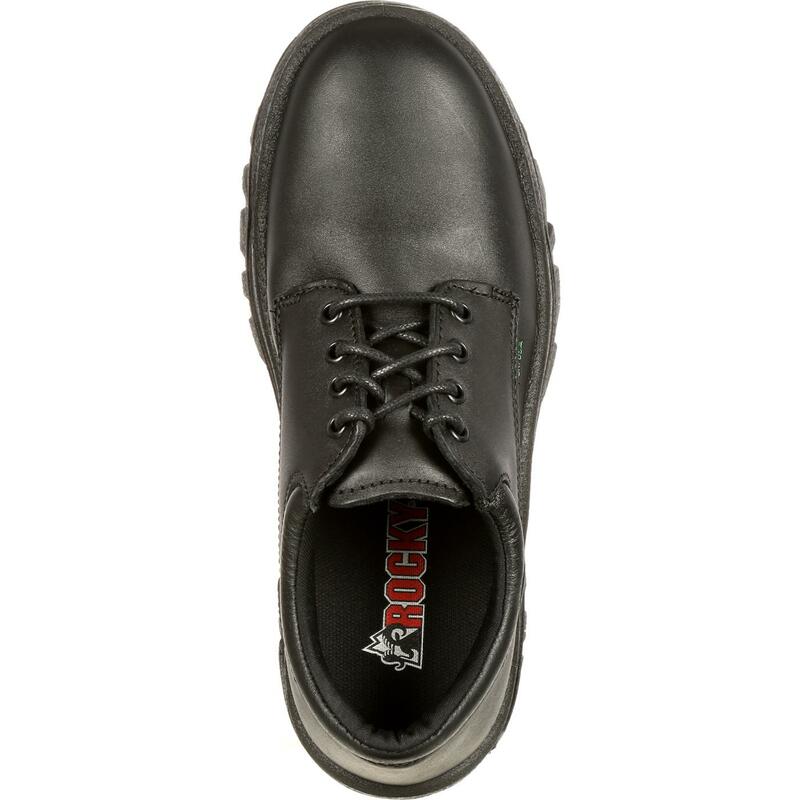 Rated 5 out of 5 by WolfN85 from Great Value I bought my last pair of Rocky's almost ten years ago. They've held up to daily use, and then some. I gave up on wearing sneakers; these are comfortable enough to go for miles over road and trail alike and look fine with any outfit I might throw together. 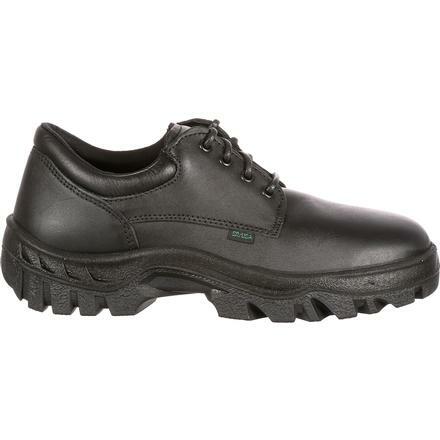 Rated 5 out of 5 by Jerri from Great shoe This shoe helped me keep my job. 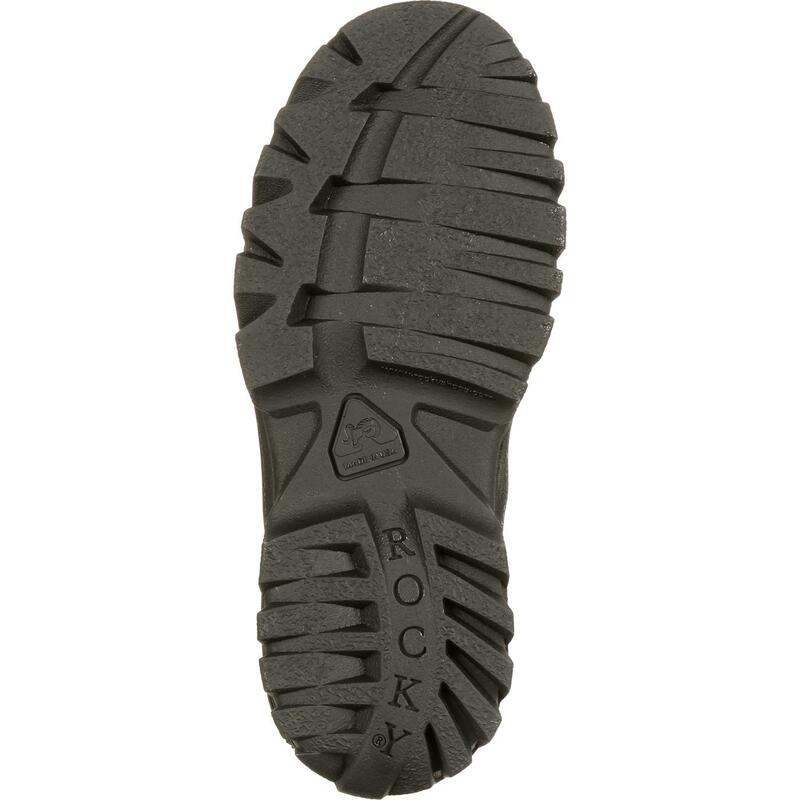 I tried other shoes and this Rocky shoe was the the only one that allowed me to be on my feet all day without pain, Thanks Rocky. Rated 5 out of 5 by Big boss from Extremely comfortable! 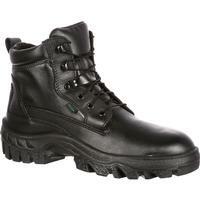 I've owned my boots almost a month now and from day one have experienced the extreme comfort in these boots. I work 50+ hrs a week on my feet and concrete floors and in 15 yrs of doing so I hadn't been able to find a boot that felt good on my feet or aching knees. From day one, the Rocky boots I purchased have been amazing! 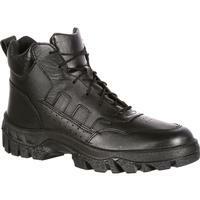 Extremely comfortable and very durable. Very pleased with this product. 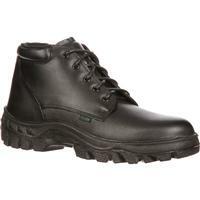 Rated 5 out of 5 by wargowsky92 from Great my father bought me a pair of these boots about 9 years ago. i used them off and on for years helping him. when i got a job i started using them every day for work. so far they have held up for about 3 years of 5 days a week in a factory and in a kitchen. they are finally falling apart they are still usable. definitely going to get another pair in a few weeks.